These lessons are a great introduction to the game, providing the perfect environment for those who learn best in a fun and relaxed environment. Includes four, 1-hour group lessons once a week. 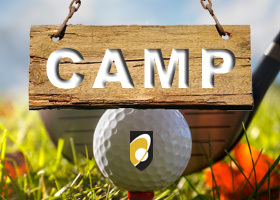 Your instructor will cover putting, chipping, and full swing fundamentals. Are you struggling to see improvement on the golf course? Have you ever spent hours on the driving range only to shoot a career high score? Have you ever wondered why your driving range swing rarely shows up on the golf course? Join our PGA of Canada professionals as we teach you the art of practice. Practicing properly is an important skill for transferring your improvements to the golf course. We will teach you how and when to block practice vs random practice. Each week our professionals will guide you through a purposeful practice with supervised exercises and drills on all aspects of the game. This is a 4-month program including up to 16 classes. These lesson packages are designed to meet the specific needs and goals of each student. Private and Semi-Private lessons are best suited for those who learn best one on one, in need of flexible scheduling, and benefit from specific lesson plans tailors to their swing and abilities.